About a year after meeting Vicki, as the year 2000 celebrations peaked, changes were in the air for Melissa and me. We had talked for more than two years about moving from our home in Massachusetts to southern Maine. We had been visiting the Wells – Ogunquit area on weekends and summer vacations for about fourteen years because Melissa’s parents owned a second home up there. The energy, the people and the ocean seemed to resonate with us. Sometimes, however, this dream seemed unrealistic. A lot of aspects of our life needed to align before such a move could become a reality. 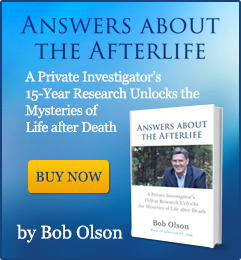 Ever since that first radio show on the opening night of The Sixth Sense movie, I had been using any connections I had from my book tour to get Vicki on more radio shows and expose her gift to the world. The radio promotion we had done to this point had been quite successful and boosted her business quite a bit. To me, that meant more people were becoming knowers. Until now, I had participated in these shows with Vicki, partly to make her more confident with the radio hosts, but also to make the radio hosts more comfortable with having a psychic or psychic medium on their show—some were hesitant to have her on and thought it safer if I was willing to do the show with them since I was the guy who recommended her. It must have helped to have me doing the show with her because the first show Vicki did without me went dreadfully. The reason the show went so poorly was not due to Vicki’s performance, but rather a result of the host’s performance. The radio host didn’t fully understand how psychics or psychic mediums work, so when the phone lines lit up he wanted to get through as many calls as possible. I think some radio hosts actually rate the success of each show by the number of callers they get, like keeping score. This was a problem because Vicki felt rushed from one caller to the next and barely had time to tune in to each caller’s spirits. Secondly, the host allowed people to ask questions—about their relationships, careers or health issues—which is a better format for fortune teller psychics, not psychic mediums. Most psychic mediums prefer that radio callers just say their first name and not ask any questions or give any information during the call. This way, the psychic medium just relays any messages that he or she receives from the spirits coming through. Not only is this better for the callers (the spirits know best which messages are most important for them at that time), but it makes for a much smoother and more interesting radio show because it eliminates possible suspicion that the psychic medium is deducting information as the caller talks. Interestingly, another psychic medium named John had the same problem with this radio host about nine months later. “What am I, the relationship psychic?” John joked on the air. Nine out of ten callers asked John questions about their love life. The host didn’t get the hint. He was taking callers so quickly, I doubt he even heard John’s comment. Like Vicki, John’s show went so poorly that he never wanted to work with that radio host again. For John, who was a veteran radio guest, the experience taught him a lesson about the radio host. For Vicki, the show shook her up. It was the first radio show she had done without me, so she questioned if the show flopped because of something she did. Naturally, that wasn’t the case. I might have been able to control the show a little by explaining how psychic mediums work, but I’m not sure the host would have listened. The experience made me realize that it would be great if Vicki and I had our own show. I made some calls, and a short time later Vicki and I aired a show on a national network of radio stations. Unfortunately, the “national audience” wasn’t as large as the network’s representative made it sound. Even though it was aired nationwide, there weren’t a lot of radio stations in the country carrying the network. For two hours a week over the next several months, we presented The Spirit Communication Hour. I played the skeptic host while Vicki was the main attraction. Vicki and I worked great together, playing off one another like an old married couple. The show was a success in audience participation and we gained an established following, but the network didn’t have enough listeners to make it worth continuing. Nevertheless, the show gave Vicki a lot of practice working on radio and we had a blast doing it every week. The Spirit Communication Hour was also partly responsible for getting Melissa and I to move from Massachusetts to Maine. Once a week, Melissa and I were driving two hours to Maine to do the radio show and two hours back. All that driving was a real drag. After only a few shows, Vicki and I suspected the radio audience wasn’t as big as we had been told. Still, being optimistic, we felt we could build the audience over time through word-of-mouth. Since it looked like this was going to be an ongoing gig, Melissa and I knew it was time to move to Maine. Coincidentally, Melissa got a job offer in the southern Maine area. It was a dream come true. We made the move to Maine where we eventually settled into the Kennebunkport area. The job Melissa took didn’t work out, but it was still a blessing because it got us to make the move. About six months later, The Spirit Communication Hour came to an end. Since it took me several hours to prepare for each show, I realized the show was taking too much of my time for no financial reward. Since I wasn’t getting paid to do the show, I needed the time to be doing things that would pay the bills. Vicki continued the show for a short time after I left, but soon admitted she could be reaching much larger audiences as a guest on other people’s radio talk shows. Plus, her clientele had grown fast in only half a year and she, too, looked forward to more free time. When the show ended, Vicki had become quite adept at giving readings on radio. As part of my overall marketing strategy to help Vicki, I had created a website, www.OfSpirit.com, intending she would take it over some day. But radio had become so successful for her that she didn’t have time to spend working on a website. Suddenly I found myself with this OfSpirit.com domain name and didn’t know what to do with it. Because I enjoyed website design, I played around with OfSpirit.com and turned it into a holistic, spiritual and new age magazine. Then, because I enjoyed marketing, I did a marketing test to see if there would be any interest from holistic, spiritual and new age businesses and practitioners to advertise on the website. The first test-market results were extremely positive, so I did another test. The second results were even more successful. I knew I was on to something. I immediately called three people whose opinions I respected: a lawyer, an accountant and a stockbroker. I told them about my test-market results and they all told me the same thing, “Write a business plan and send it to me to look over.” It was a little strange that three people all said the same thing, so I created the business plan. It took me seven fourteen-hour days to write it. When it was done, I sent each of my advisors a copy. They all responded by wanting to invest in the company! I had always been entrepreneurial throughout my life, but I had never considered starting an Internet magazine—especially a holistic magazine. But I pay attention to the way things flow in my life, and when coincidences like this occur, I know I can’t ignore them. So I sent the business plan to a few more people, and almost every one of them called me back wanting to invest in OfSpirit.com. It was the most unusual business experience I have ever had. Everything flowed so effortlessly, I have to believe it was all meant to be—just another predestined leg of my journey. Before I knew it, OfSpirit.com was up and running. Within the first six months, I had win-win business relationships with a major holistic magazine in the New England area, Spirit of Change magazine, and a national publisher, AOL Time Warner Book Group, to exchange publicity on OfSpirit.com for content (articles and book excerpts). In almost no time, I had other newsletter, magazine and book publishers who wanted to be part of OfSpirit.com. It all happened so fast that I didn’t have the time or employees to handle it all so quickly. Some of these publishers had to wait so I could fully maximize what we had already manifested. Early in OfSpirit.com’s growth, however, I was diligent to get practitioners to write articles about their expertise. Today, authors, publishers and practitioners send us articles daily; but nobody knew about us back then. So, as I mentioned in the last chapter, I was calling practitioners on the telephone telling them about our Internet magazine and inviting them to write for it. It was another win-win relationship since the practitioner would get publicity by adding a bio at the end of their article while we got content for our visitors. Since I had no success obtaining articles from Joe, I decided to see if the psychic medium I mentioned earlier, John, could provide any. Just as with Joe, I didn’t give any thought to the fact that John was a psychic medium and I was writing a book on mediumship. At this point, I wasn’t sure I would ever finish the book. Because OfSpirit.com was now eating every waking hour of my life, I had put the book aside until the magazine lifted its grip on my time. What I really wanted at this moment in my life was some articles, and I hoped John would have something I could use on the Psychics & Mediums page. I remembered hearing John’s name from talking with WBZ’s Jordan Rich. I first met Jordan as a guest on his radio show, The Jordan Rich Show, while promoting my first book about depression, Win The Battle. Jordan’s show is aired nationally on 1030 AM across 38 states and parts of Canada, and he interviews authors, politicians, celebrities and other interesting people on a wide range of engaging subjects, mediumship included. A year after my first appearance, Jordan had me on as a guest again with Vicki. During this interview, Jordan told me that he often had John as a guest, too. He said John was an extraordinarily gifted psychic medium. I never expected to meet John, but his name stayed with me until a year later when I founded OfSpirit.com. When I saw John’s name listed in a business directory for new age practitioners, I decided to give him a call. John said he didn’t have much interest in writing, but he offered an interview if that would help. During our conversation, I mentioned to John that we had a mutual friend, Jordan Rich. That got us talking about what a great guy Jordan is and before I knew it, John and I were setting up a time to meet. Since I was working from eight in the morning until two in the morning to get OfSpirit.com off the ground, I didn’t have time to interview John and write an article. Again, duh, I wasn’t even thinking about this book. Nevertheless, John, Melissa and I met for dinner one night and we all hit it off immediately. We have been great friends ever since. I usually talk to John two or three times a week. I am so grateful for that fateful phone call that brought us together, even though it never resulted in an article to help OfSpirit.com get started. 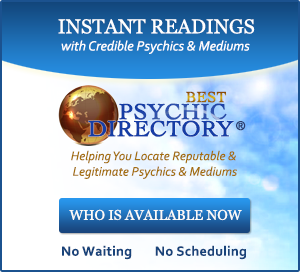 My vision for OfSpirit.com had nothing to do with psychic mediums. I wanted to create a forum that would serve three purposes: to educate the public about holistic, spiritual and new age subjects; to assist practitioners, authors and speakers to promote and publicize their products and services; and to create a resource for the public to find holistic and spiritual practitioners. 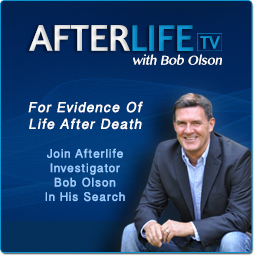 OfSpirit.com did serve those purposes, yet it also opened the floodgates for my own knowledge regarding mediumship, near-death experiences, hypnotic regression and the afterlife. The Universe never fails to surprise me with its infinite web of influence. 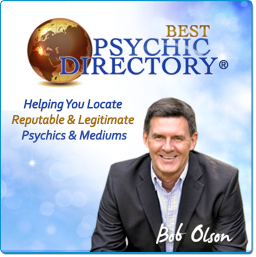 OfSpirit.com is directly responsible for my meeting several of the most gifted psychic mediums in the world including: Joe, John, Nancy, Jackie, Rita, Brenda, Gordon, and several whom I haven’t mentioned in this book but have learned a great deal from through knowing them. It’s not that I met them all as a result of the magazine, but the magazine was a point of reference from which each relationship began. Initially, John introduced me to Nancy and Gordon. Nancy introduced me to Jackie, Rita and Brenda. And several psychic mediums whom I have not named came to me by accident while I was working on other stories. If it were not for OfSpirit.com, I may have never met any of these lovely people, many whom have become special friends. And, obviously, many of these people have also become an important part of this book. A few months after The Spirit Communication Hour ended, Vicki was listening to a rock radio station from Portland, Maine. Amidst the morning banter, there was a question about something relating to herbs. Since Vicki is a doctor of natural medicine, she called up with the answer. Before she knew it, the radio host, Meredith, was asking about her background. When Meredith learned that Vicki was a psychic medium as well as a naturologist, she was intrigued and asked Vicki to give her a quick reading. By the time their conversation was over, Vicki had been invited on the show as a guest. Having had plenty of practice on radio, Vicki was a phenomenal success on Meredith’s show and was asked to do a regular guest spot every Thursday morning. It was one of the best career opportunities Vicki could have imagined. Only eight months later, Vicki began doing live psychic medium demonstrations filling banquet halls with hundreds of her radio listeners at each event. The audience loved her so much that word quickly spread about her demonstrations, and before she knew it, Vicki had several more events booked solid. After only two years from the time I first met her, both my life and Vicki’s had transformed in ways neither of us could have predicted. OfSpirit.com blossomed into a top holistic, spiritual and new age Internet magazine and Vicki was on radio, television and stage speaking to massive audiences. Plus, what started out as a book about one psychic medium had grown into a comprehensive conglomeration of experiences with several psychics and psychic mediums. When I first began my research, I thought I was writing a book. Now it was obvious that the book was writing itself. 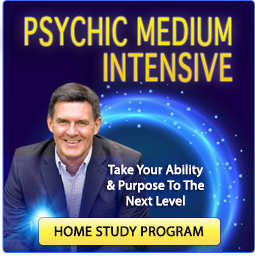 The best thing I ever did was to stop trying to control my research of psychics and psychic mediums and just let things happen. Although I didn’t understand it to the depth that I do today, I was beginning to learn that I am not really the person at the steering wheel of my life. A Higher Power is in the driver’s seat, and I only seem to be along for the ride. Once I finally accepted this idea, my life has progressed much more smoothly, and has been a heck of a lot more fun. Every morning I wake up and say, “I wonder what today is going to bring!” I am not always thrilled with the results, but I am never bored.